DermaSound is a non-invasive facial procedure that utilizes water and ultrasonic frequency to loosen and remove dead skin cells from the surface of the skin. Once the dead skin cells are removed from the skin, collagen and elastin production are stimulated, which will help to heal connective tissues in the skin. DermaSound reduces discoloration that is caused by sun damage and acne scars. Dermasound also firms up skin, unclogs pores, protects against acne breakouts, diminishes fine lines and wrinkles, and hydrates skin. DermaSound is a three-step system that is used to treat a variety of skin disorders. The first step of this procedure is known as cavitation and uses water oscillation to loosen and remove dead skin cells. The technician will use a rapidly-vibrating device to remove surface debris, including oil, dirt and bacteria, from the skin. This first step is similar to exfoliation and microdermabrasion, but has a lower risk of redness and skin inflammation. The second step of DermaSound utilizes the process of sonophoresis, in which ultrasonic frequency creates pathways in the skins layers, allowing specific antioxidant products to penetrate the skin more effectively than by hand. The products used during this step are specific to the type of treatment being performed. The third and final step of DermaSound uses microcurrent therapy to boost cell function and promote healing. The cells' electrical charge is restored to normal status after being damaged by various environmental factors. This increases nutrient transfer to the skin and the production of collagen and elastin is stimulated. What is DermaSound used for? DermaSound is used to treat acne, fine lines and wrinkles, damage from UV rays, sensitive skin and to manage symptoms of rosacea. 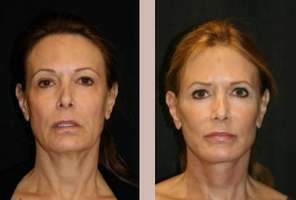 The procedure is also beneficial as a preventative tool to combat aging skin. With regular treatments and appropriate care at home, DermaSound has been successful at removing bacteria from the skin, which promotes a healthier, smoother and cleaner complexion. Because the DermaSound treatment purifies the skin, clients are left with a smooth and soft complexion as a result. The face will feel fresh and clear of environmental toxins and bacteria that give a dull appearance of the skin. During the procedure, pores are unclogged which will allow serums and moisturizing products to penetrate deeper into the skin, furthering tissue repair. It should be noted that while most clients will notice immediate results, maximum results cannot be acquired after one session. Rather, a series of regular treatments will provide maximum results to those wishing to beautify and purify their skin's appearance. Because of its unique and non-invasive steps for treating skin disorders, there is no associated downtime or recovery associated with treatment. In fact, each session takes approximately 30 to 45 minutes and clients are able to continue with their daily routines afterward. Minimal redness may be noticeable immediately following the treatment, but can be covered with mineral make-up for disguise. Because of the exfoliating nature of DermaSound, clients will need to protect their skin with a quality sunscreen afterward and preferably daily following the treatment. Who is a candidate for DermaSound? Almost anyone wishing to purify, cleanse and smooth their skin is a candidate for DermaSound. Those with pacemakers or who are pregnant are not candidates for DermaSound. One of the benefits of DermaSound is that the treatment is suitable for all skin types. DermaSound may be appropriate for clients with skin lesions, diabetes mellitus, lupus, eczema, vascular lesions, warts, psoriasis, herpes and those taking anti-coagulants, Accutane or Retin-A products. What are the advantages of DermaSound over other treatments? Exfoliation and microdermabrasion are similar procedures which cleanse and purify the skin. However, DermaSound utilizes water instead of irritating crystals to exfoliate the skin. Because of this, DermaSound does not injure the skin as a method of resurfacing and healing as microdermabrasion does. In addition, because DermaSound uses low-frequency ultrasonic waves to push antioxidants into the skin, the products are able to penetrate deep into the tissues of the skin, treating a variety of skin issues at the roots. What is the cost of DermaSound? Dermasound pricing can vary, but each DermaSound treatment will cost approximately $100 to $200. Because maximum results are acquired through regular treatment sessions, clients are generally instructed to return for follow-up sessions once a month. DermaSound is being performed in spas and salons across the country. According to Google Maps, the procedure is currently being offered in California, Oregon, Utah, New Mexico, Maine, New Hampshire and Massachusetts. As DermaSound becomes more popular, it is likely that a spreading trend will take place, moving the treatment into states nationwide. Because of the nature of the treatments, DermaSound should only be performed by an experienced and certified esthetician who uses products that are FDA approved for the procedure.